My camera critters, to see more critters visit our host Misty Dawn at Camera Critters. Thanks Misty Dawn. If you haven't been able to tell by now, I love birds and will go birding any chance I can get. These photos are from my archives but I thought they would be good for skywatch. They were taken at Bombay Hook in Delaware in August. Hubby and I took a walk on one of the trails and we noticed this Egret tree. It was an amazing sight, there were so many Egrets and the sky was mostly blue. More info on the Egrets, they are waders, they nest in colonies in either trees or reedbeds. They live in wetlands, mudflats, marshes or swamps.They are usually seen elegantly posed along streams or ponds looking for frogs or fish. Also a big thanks to the hosting team of Sandy, Wren, Sylvia, Louise, Klaus, and Fishing Guy. Beautiful and amazing, to see so many egrets gathered in one tree! I really love the second shot with one egret flying away. So green trees are candy for my eyes at the moment. 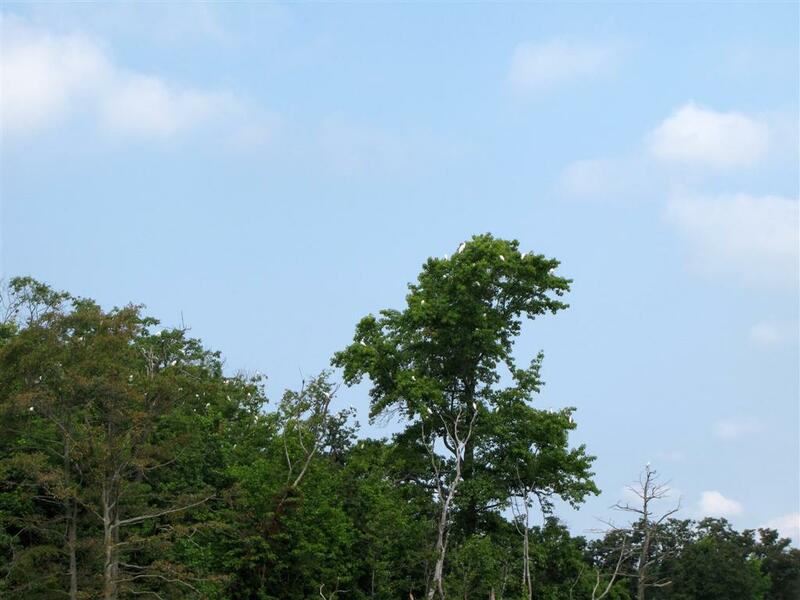 Fantastic shots of the egrets against the blue sky and in the tree. Happy Thanksgiving. How awesome to see all of the egrets in the tree like that. very nice picture. i love the second shot the most. I like the second and last shots! Gosh there is lots of birds in that tree, how nice of you to share your view of nature at play with us all in Sky Watch Friday. Great shots and they Definitely count as sky shots. I once came upon such a tree and found there was no card in my camera, I'd left it in the computer. Glad you are more careful than I. Why are they only in that tree..interesting! Beautiful Egret Tree Eileen! They remind me of ornaments on a Christmas tree. Thanks for sharing these wonderful nature pictures. Very nice series. Amazing sky shots with those birds. These are like birds of paradise. And the sultry summer sky is a nice reminder of warmer days. I had to google what kind of bird an egret is. How nice to be able to see so many at the same time. :) The only kind I've seen is greyish and would never sit up in a tree. Birds are very hard to capture and you did it well. Happy Thanksgiving Eileen! Nice shot of the beautiful creature. Happy thanksgiving! The one with the egret flying is great! I never thought about those birds hanging out in trees, thanks for enlightening me. 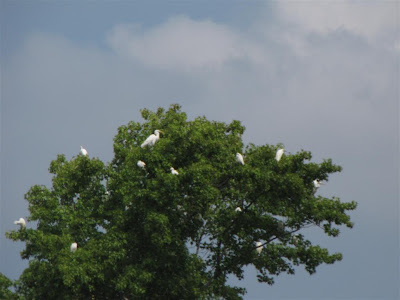 Great shots of the egrets decorating that tree. Its always such a joy when you happen upon a view like this one. Hope to see more great photos from your archives. Eileen: Your love of birds comes through clearly and this tree has a lot to love. Thanks for sharing this with SWF. Beautiful egret, my favorite is the second photo. Thanks for stopping by and visiting my blog. I found yours through your comment, I like some of your bird photo's - very nice. Around here there's a tendency to destroy egret rookeries unless they're on public land. But we do have lots of these birds (and herons) in our few real wetlands. 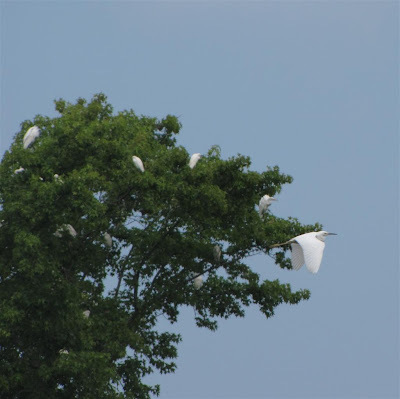 I would dearly love to live near an "egret tree" so thanks for posting this. And happy Skywatch Friday. They look funny. They are so big to sitting in a tree. Great shots. Amazing that egrets always seem to choose the same tree. Maybe there is safety in numbers, or is it that they are just really social family orientated? These are absolutely great photos for today's SWF, Eileen. Wonderful pictures of the egrets! Quite amazing! Eileen -- I love this tree! We saw something similar when we were in Louisiana (too long ago). There were little blue herons and egrets in the same tree. It was amazing. Your pictures are beautiful. Thanks for sharing! Great shots! It's neat to find so many egrets! Thanks for sharing, and for the visit. Fabulous photos! I consider myself fortunate to see just one very occasionally. What a joy to capture so many. Thank you for sharing. Hi eileen.....so lovely you stepped back in my tuscany, I loved it!! Your photo-work is amazing; those wonderful birds in the tree are most beautiful ; !!!!! Have a wonderful week and good work! WOW! I've never seen so many egrets in one place. Loved the one where you captured the egret taking flight! I'm interested in birds, especially owls. awesome to take pics of egrets on one tree. That is so cool! What wonderful pictures! Looking at your other blogs as well and you've taken beautiful shots. Lots of big birds must mean something. Maybe a lack of trees? I've never seen an Egret before and it's my first time to hear such name of the bird.Thanks for sharing. thanks for coming by Eileen...glad to be here again! I want to plant one of those in my yard! Did you see that you got award from me? this is beautiful, I have seen it once in one of my travels. What a wonderful sight, simply gorgeous! I saw a huge tree colonized by storks, with what seemed like hundreds, guessing from the extremely noisy bill-cluttering, down in Florida, at Corkscrew National Park. How lovely! I've never seen so many egrets in one tree!! What a wonderful sight to see can capture! Birding is truly a worthy way to spend one's time and this is a beautiful series of photos. 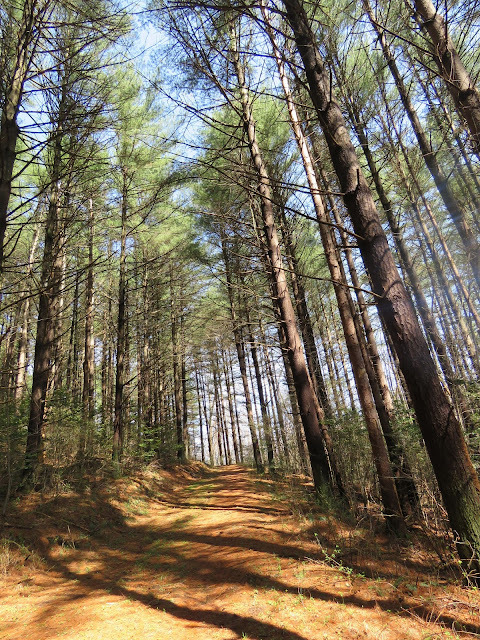 Interaction with the outdoors makes like so much more interesting. I've been enjoying scrolling down your blog. You have such interesting experiences and take awesome photos of them! 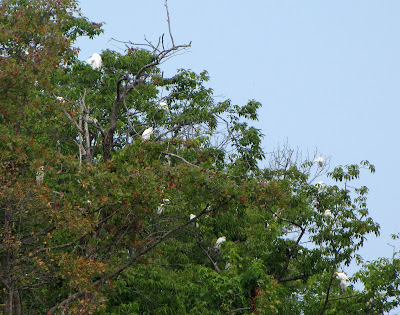 How cool to see those egrets in the trees like that!